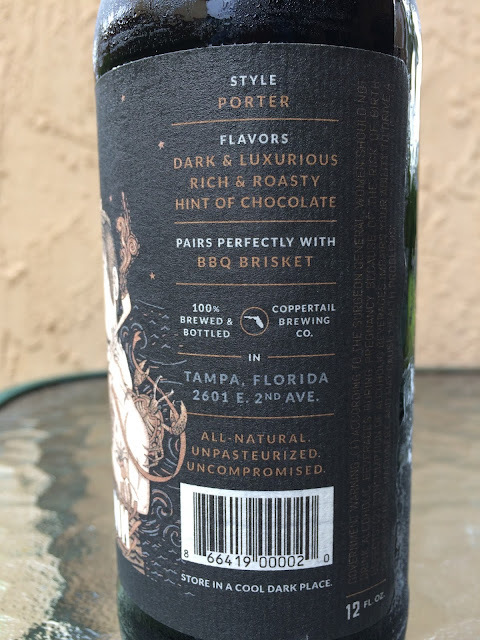 Today I'm checking out another core beer that Tampa's Coppertail Brewing is sending over to Miami. I've tried Wheat Stroke, Unholy Trippel, Free Dive IPA and now will see what Night Swim Porter has to offer. 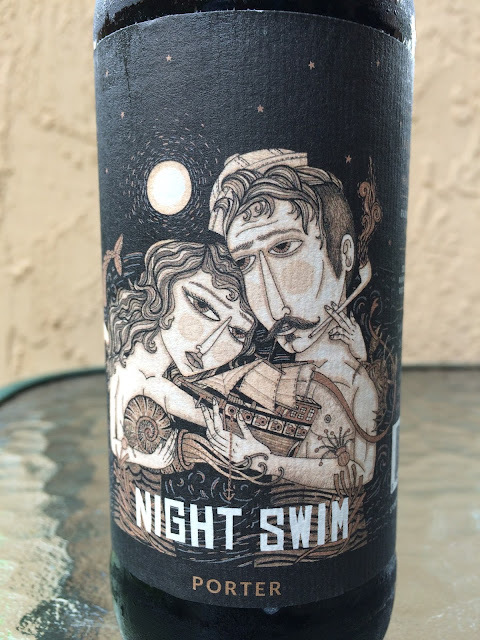 The label art done by Evan B. Harris is really cool. I contacted him again yesterday to see if he'd sign a few labels for another fun contest. Stay tuned for that. 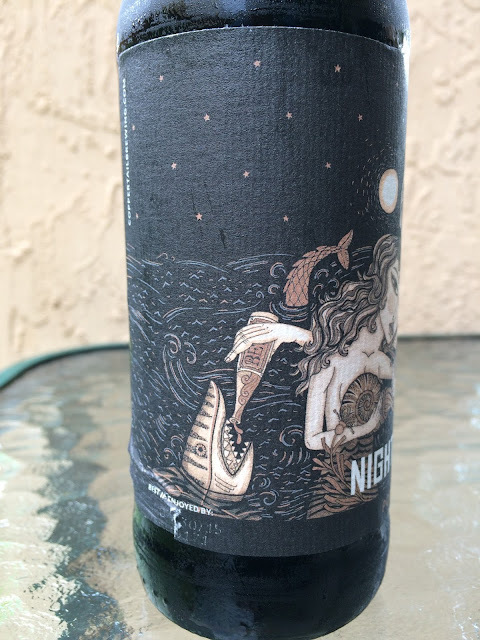 This label depicts a couple that appear to be "night swimming," duh, with a few sea creatures. The guy is pouring the dregs from a beer bottle to a shark while a crab seems to be scratching his back. The brewery suggests pairing this with BBQ Brisket. Really dark brown color with a huge fluffy head. Chocolate and milky creamy sweet aroma. Creamy and rich body to start as well. 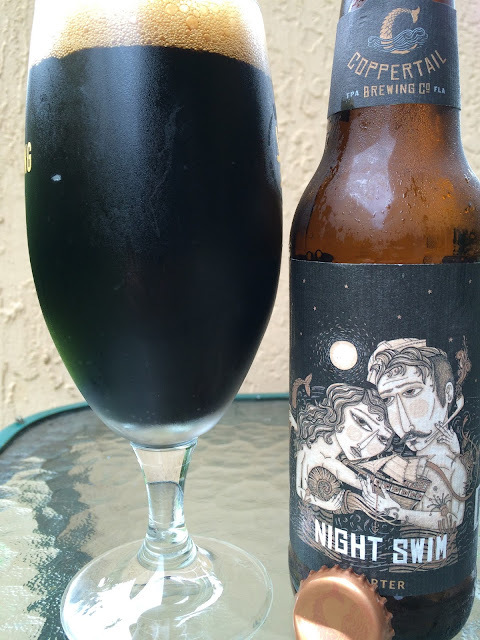 Huge roasted malt, and builds to a strong char and slight campfire flavor. But never overly harsh or bitter. There is a sweet milky flavor and a touch of nutty character. Pretty simple but great texture and nice flavors. This place is perfect for any kind of night you're looking for. In the downstairs area at San Francisco event venues, you can enjoy a lounge setting while talking over drinks with a small party. Or, if you're looking to mingle or have a bite to eat, you can head upstairs.